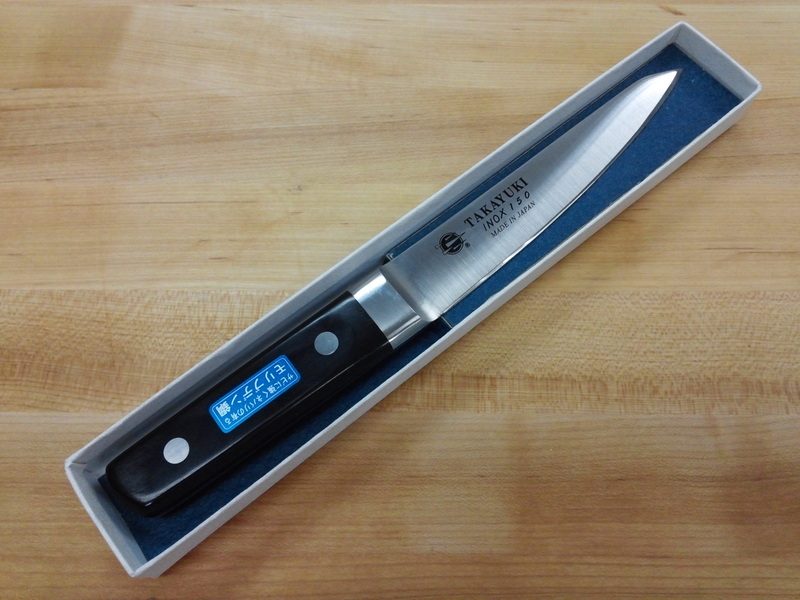 "Everything appears first in Sakai. 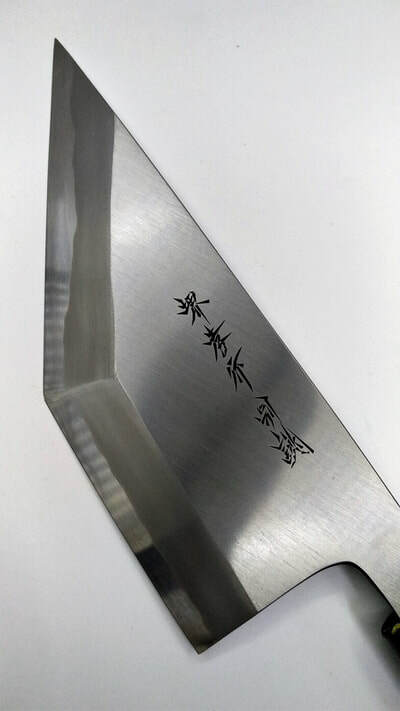 "The origin of Sakai's knives can be traced back to the construction of the Nintoku Mausoleum (Tomb of Emperor Nintoku), which is famous as the world’s largest keyhole-shaped burial mound. At that time, a vast amount of hoes and harrows were needed for the large-scale construction. 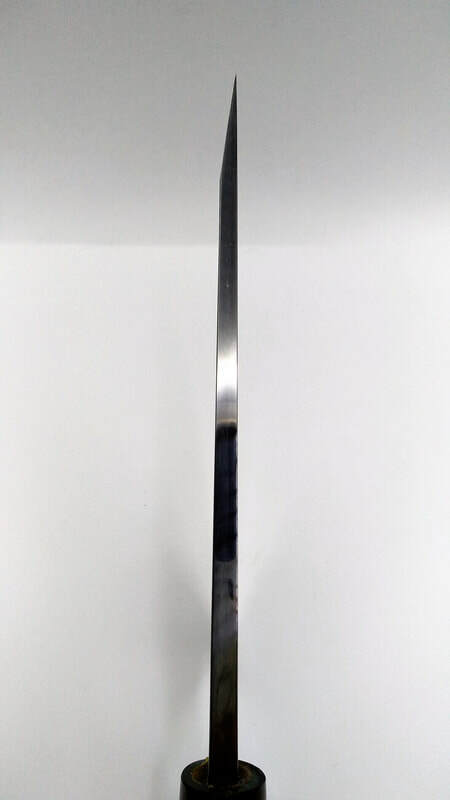 To manufacture such tools, blacksmiths came from throughout the nation to settlements in the area. During the Tempo era, tobacco from Portugal became popular. 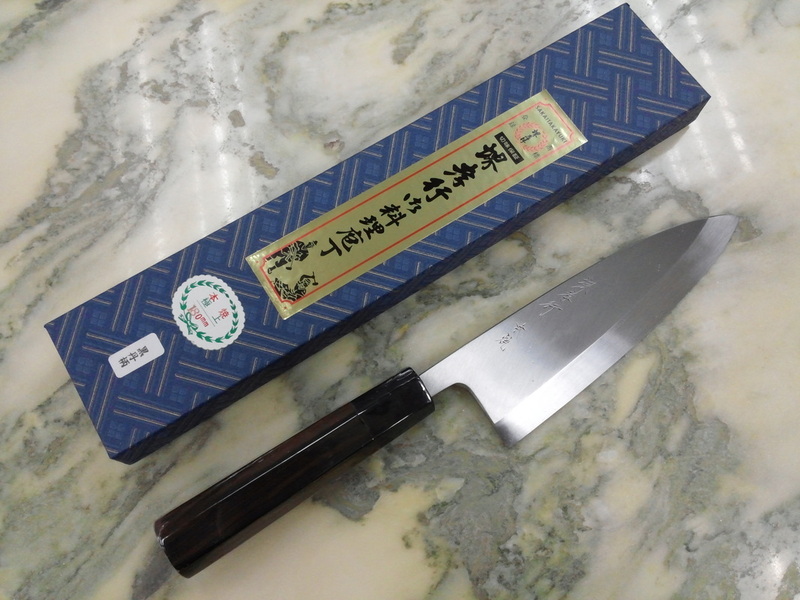 As a result, demand for the knives used to cut tobacco leaves increased. Consequently, blacksmiths in Sakai started to manufacture knives. 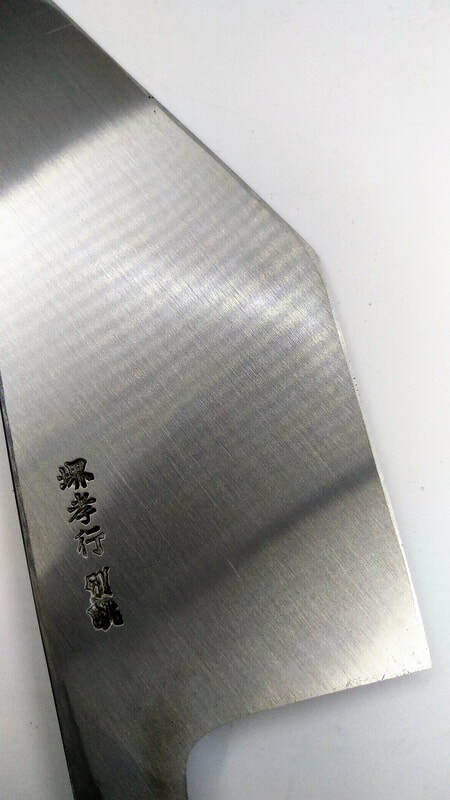 The quality of the knives was recognized by the Edo government of that time, and the knives were authorized as proprietary products of Sakai. 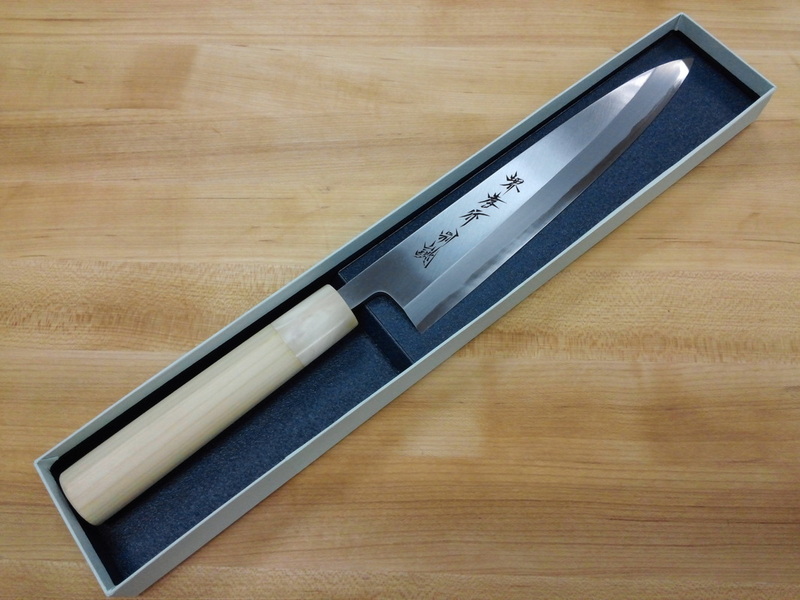 The knives were sold throughout the nation and carried the engraved stamp "Sakai Kyoku." 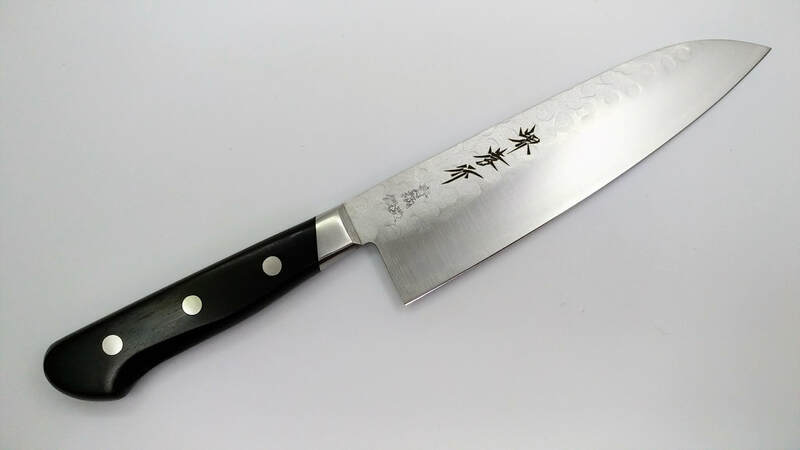 Later, when production of tobacco became mechanized and the demand for tobacco knives declined, blacksmiths started to manufacture such kitchen knives as Deba, Yanagiba, and Usuba, which are used by cooks throughout the nation. 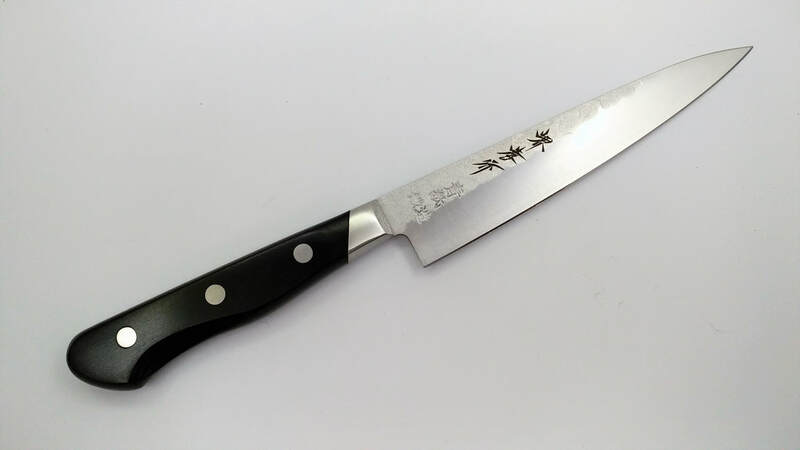 The traditional manufacturing methods and excellent skills of the craftsmen led to the knives being designated traditional arts and crafts in 1982. 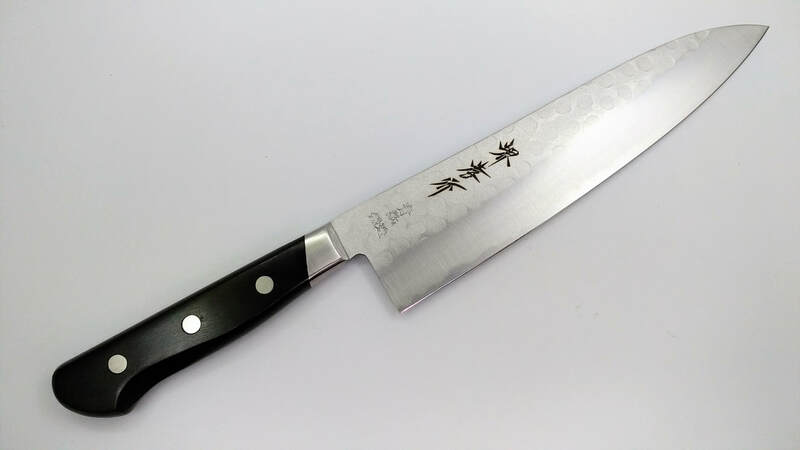 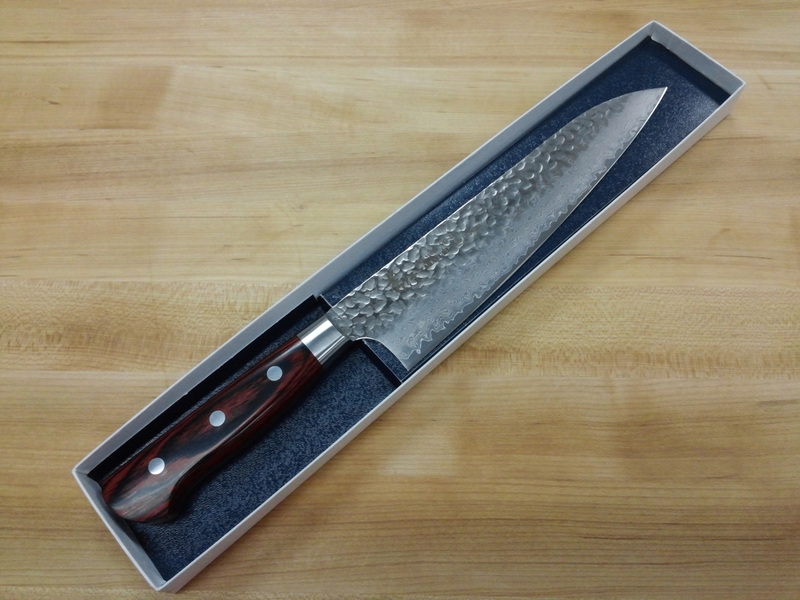 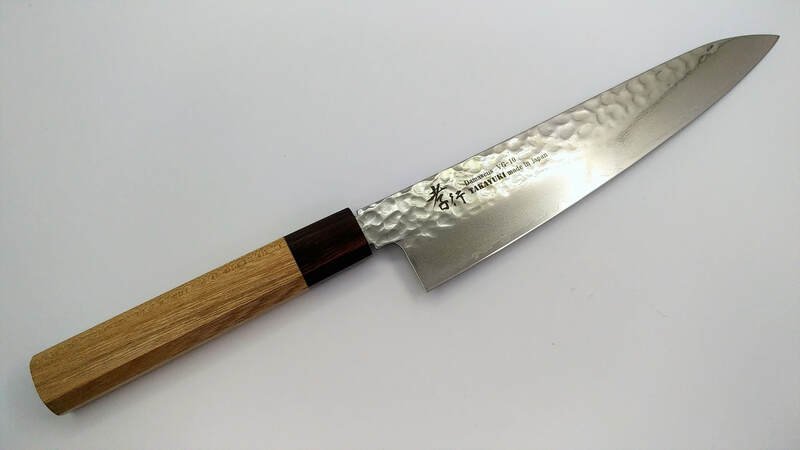 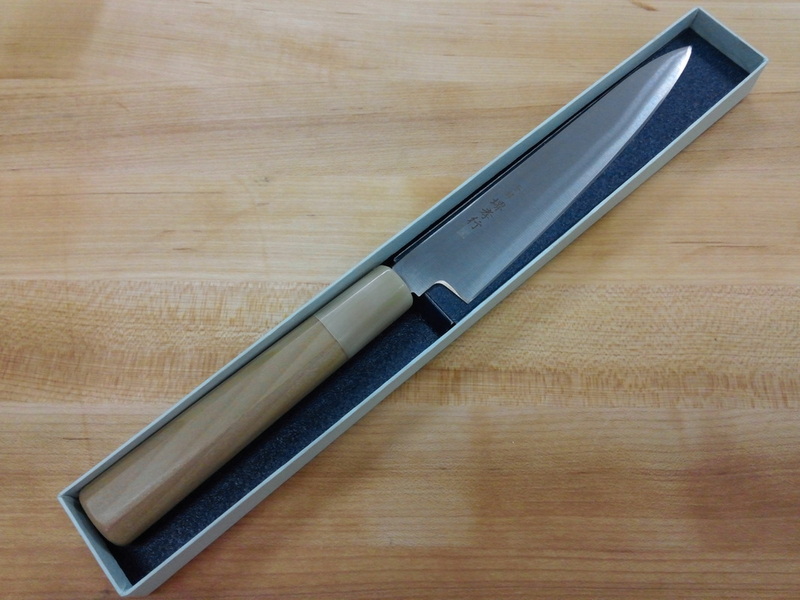 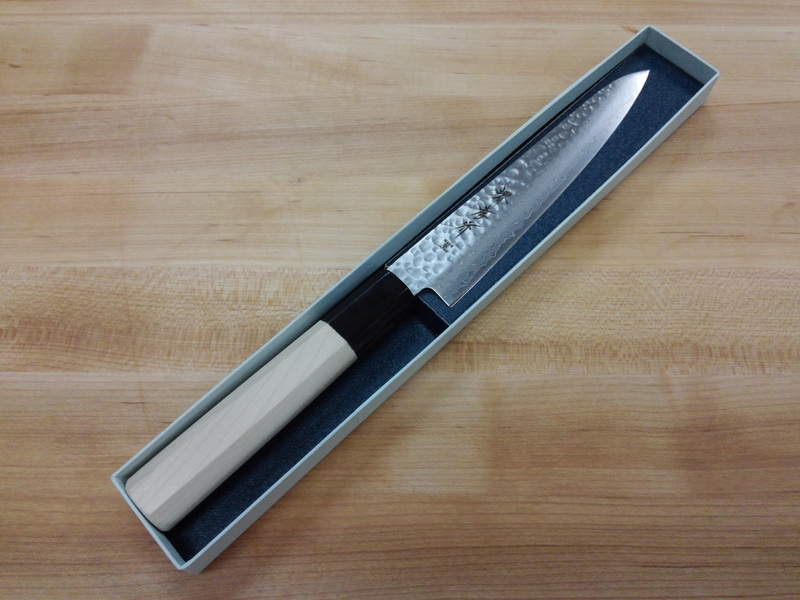 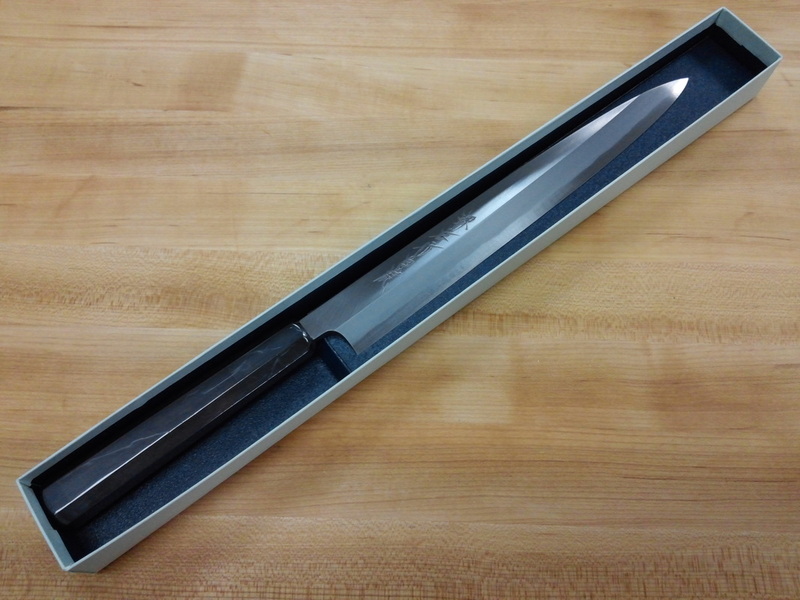 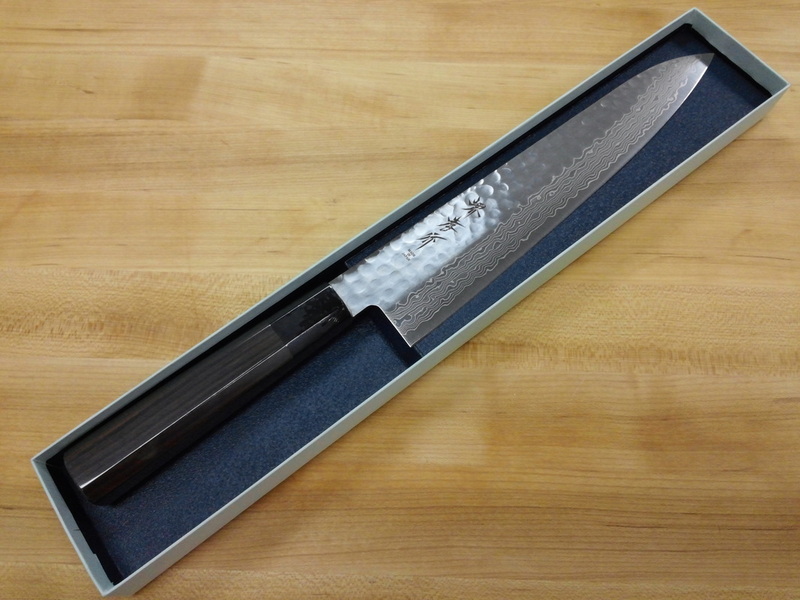 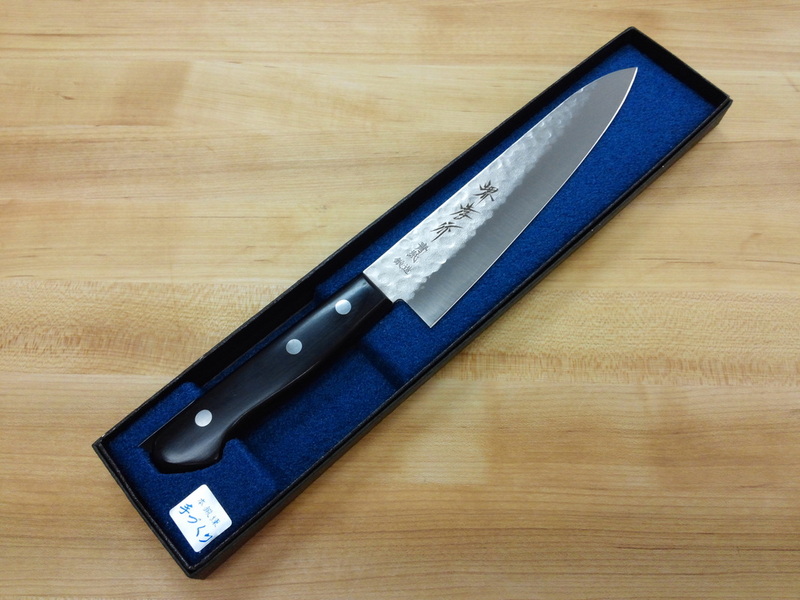 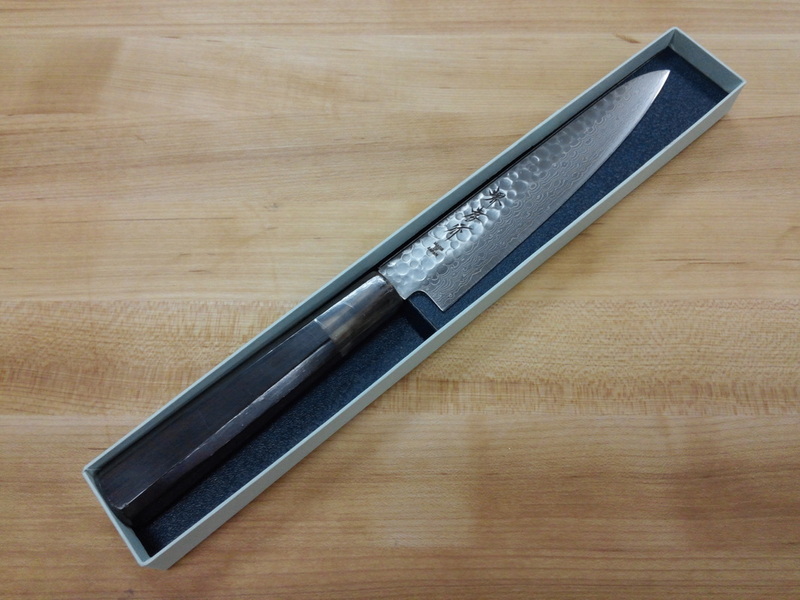 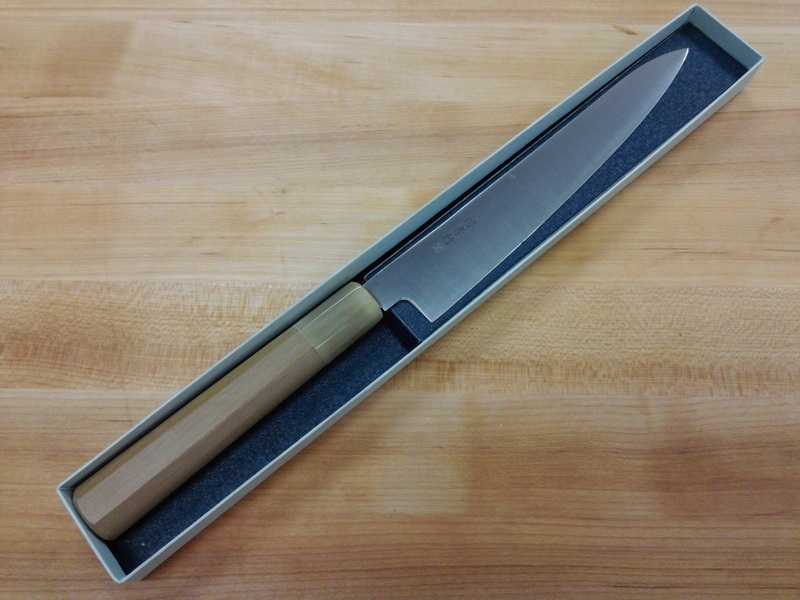 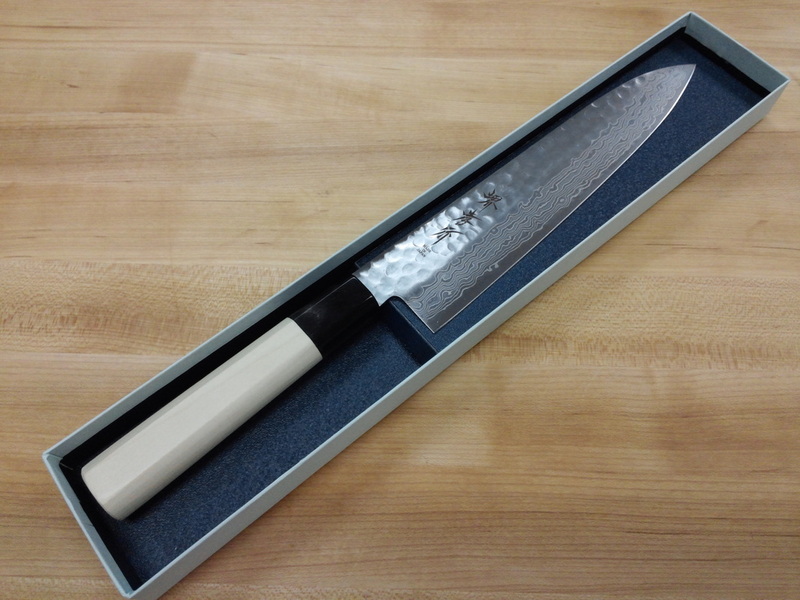 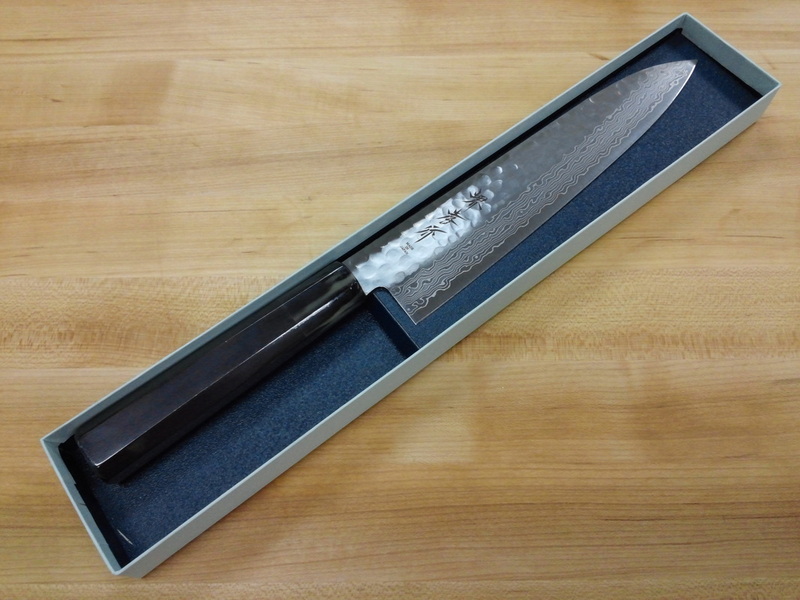 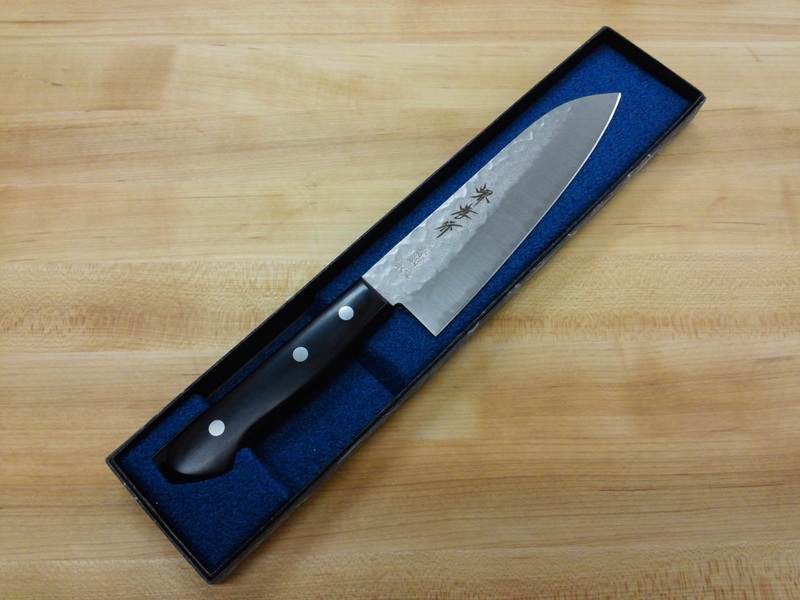 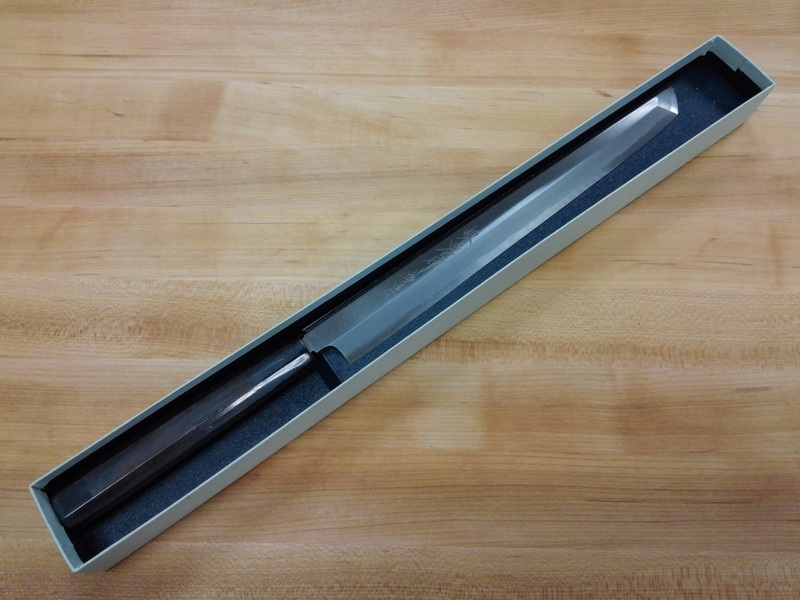 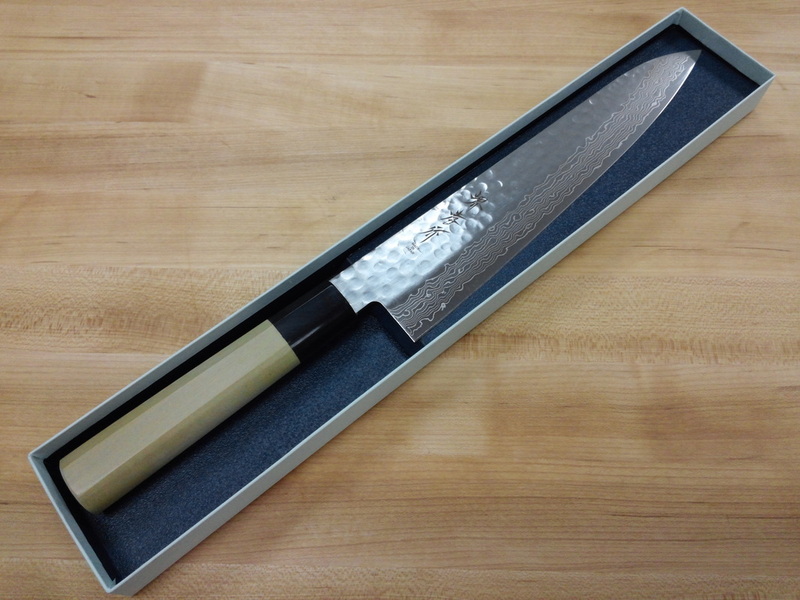 This Honyaki Deba is our latest arrival of Honyaki Knives at our showroom. 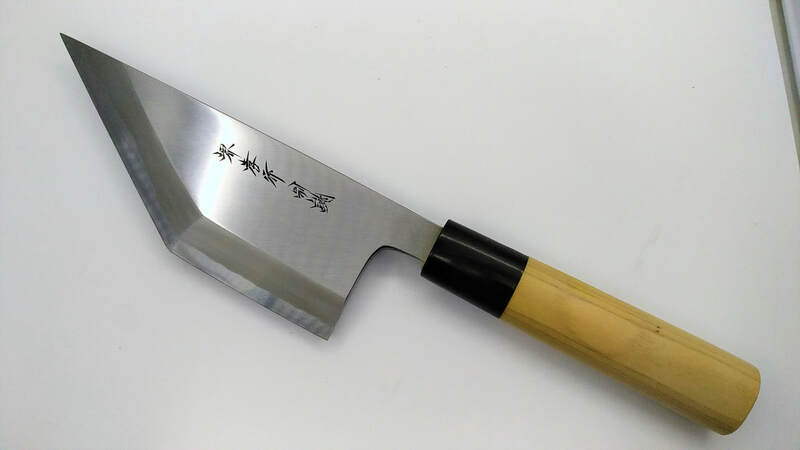 A Honyaki (glost-fired) knife retains its sharpness for a long time once it is ground and that the cut plane of food is beautiful. 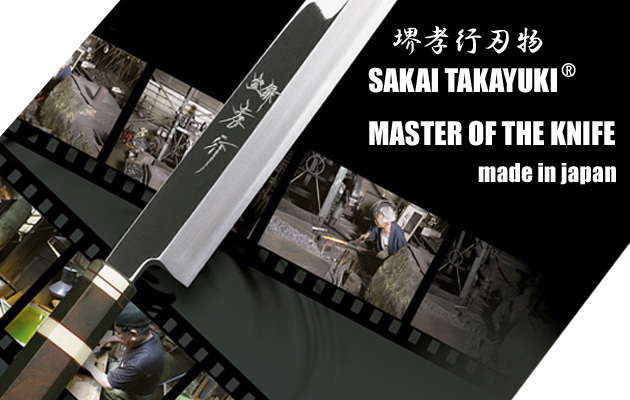 Sakai Takayuki's Honyaki Series are top-rank products that ensure a wonderful sharpness and manufactured with a unique traditional method. 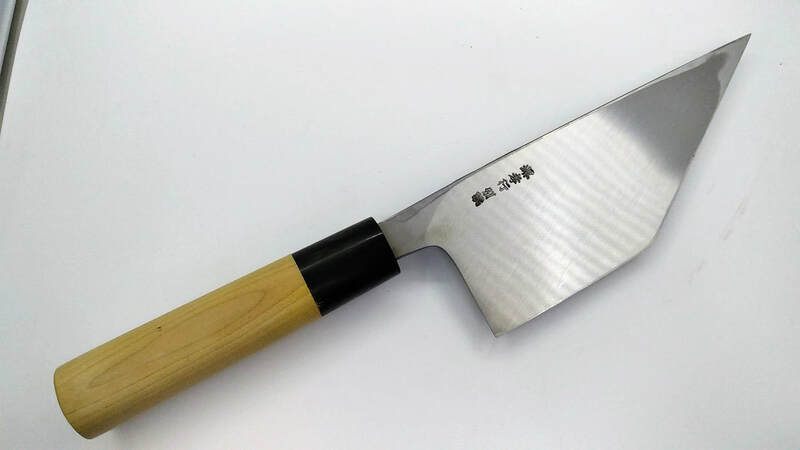 It is said that once a blade is ground, the blade maintains its edge for a long time, cutting is very smooth, and the cut surface is beautiful. 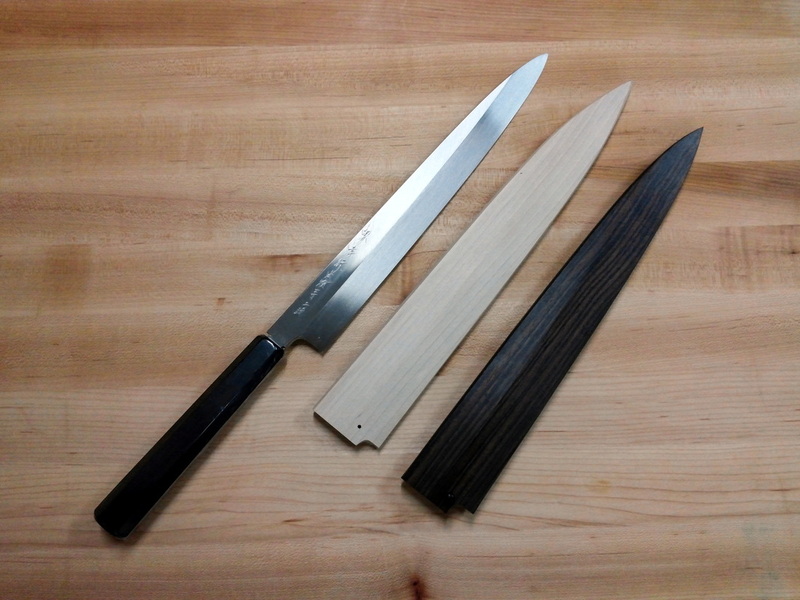 Sakai Takayuki's Honyaki series of knives are manufactured with water quenching. 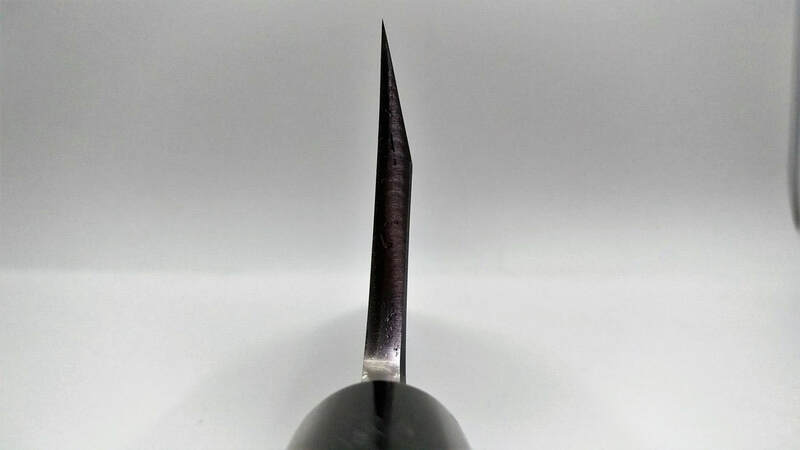 Since the speed of cooling is faster than with oil quenching, the hardness of the steel can be enhanced. 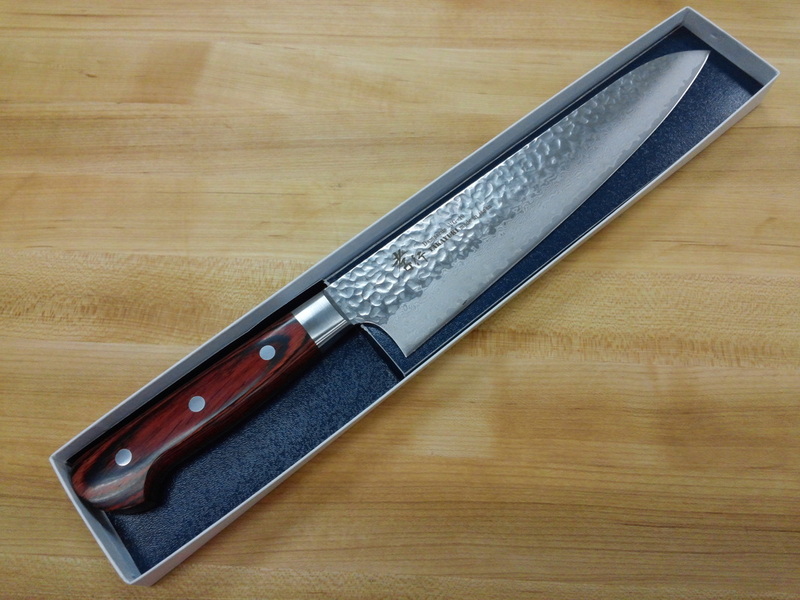 Now available at Razorsharp Showroom.